RussJones.Us: There are only 8 more Fridays until Christmas. There are only 8 more Fridays until Christmas. Christmas candy is already out at our local grocery store. Wal-Mart has their Christmas decorations out. A black Friday ad just popped up on the internet. But I just unloaded the last of the Halloween candy before I ate it! 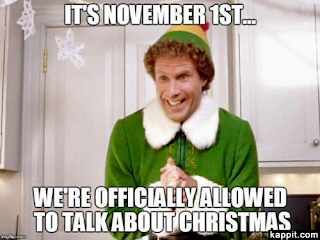 Brace yourself - Christmas music is coming! 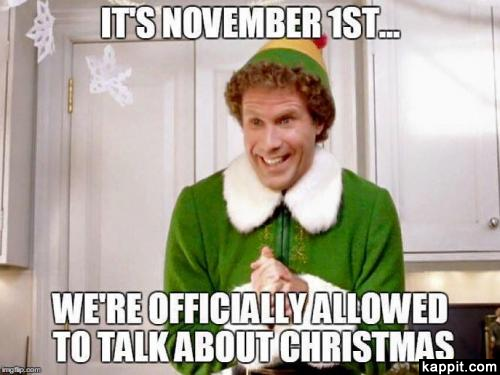 I have nothing against Christmas. But each year I have to sit down and think about what Christmas is going to mean for me and my family. Here are few things that you might want to think about right now before it's too late. #1 - How much are you going to spend on gifts. Set a budget and don't break the bank. #2 - Of the family traditions that you are going to observe ask yourself, why? Connect a tradition to a memory and share it with your family. Or create new memories that your children will talk about later. #3 - Focus on Jesus, not on the guy in the red suit. That doesn't mean you cannot enjoy a Christmas tree. It means that you're not focusing on the commercialization of Christmas. #4 - Remember that it is better to give than receive. Teach your children this principle now. #5 - Stop and look. In all of the hustle and bustle don't forget to appreciate what you have. #6 - Sharing Christmas is more important than saying Merry Christmas.